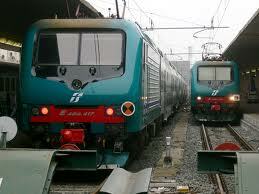 Train travel in Italy is excellent and often is one of the best ways to travel around. I have taken trains over most of the country from the south to the north and east to west. It is affordable and quite easy. The high speed trains take only about an hour and a half from Rome to Florence, about 3 hours from Florence to Venice and about 3 hours from Venice to Rome. 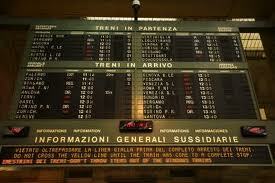 The local train system is Trenitalia. These trains are older and very crowded during peak times however once again we found them to be good. The train stations are usually close to or in the centre of the town or village so once again making travel in Italy quite easy. I have also hired cars and driven but cannot fault the trains. My first few trips I travelled first class by train as recommended by friends however I have since learned that travel in 2nd class is fine. Both classes have assigned seats on the major train connections between big cities. The train system can sometimes be frustrating due to delays and sometimes cancellations however I have not personally experienced any problems. Travel by train can seem to be daunting but it is quite basic and a lot of fun. Always remember to validate your ticket at the yellow validating machine on the platform before getting on to the train or you could be fined. The train conductors very rarely have a sense of humour for those who have not validated, even if you are a tourist. Another tip, is to take your own “picnic” whenever you have long trips. It is easier enough to pick up nice sandwiches, snacks and drinks at the train station or preferable on the way to the train station which is usually cheaper. The food on the train is not always what you would like at the time and there have been instances when they have run out of mostly everything before they get to you. At the very least always travel with your own bottled water and snacks. I have noticed that the locals usually bring along their packed lunches or meals. I must add, it is not always easy to travel by train with luggage – particularly if you are travelling alone. The step up from the platform to the train is very high. Also, many of the train stations do not have elevators which mean that you may have several sets of stairs to go up or down, which is hard work when also carrying suitcases. When getting on to the trains, if there are 2 or more of you traveling, the trick is one person gets onto the train and then the others hand up the luggage to that person. It makes it so much easier, quicker and less stressful. Of course repeat this process when leaving the train. Another trick is, only travel with 1 suitcase as not only is it hard work getting the luggage onto the train but there is usually very limited space to stow your luggage. When traveling alone I always find there is someone close by who will help me but I can never depend on it or expect it. I have found it relatively easy to get around Italy using the train system however you will find it easier to have a rental car for the countryside areas. If you are travelling in a group, the cost of a rental car and the costs to run it can work out to cost less when shared. Of course you must take in to consideration the cost of petrol and tolls. Another site worth looking at when planning to rent a car is http://www.viamichelin.com. Whatever your mode of transport; bus, train, walking, bicycle, it is very important that you always carry a map with you. 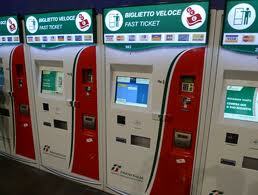 Maps do not cost much and are available from train stations, tabacchi stores, airports etc. It is imperative to always memorise and or carry the address of where you are staying. The certainly leave our trains for dead. Jd. 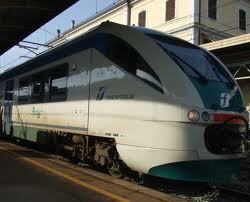 I have only travelled 1st class on the train in Italy and it was wonderful, so very fast. The only problem we had is that the platform number either changes or does not appear until the train is coming into the station and everyone has to hurry to get to the platform to board the train which can be a struggle with luggage in tow. 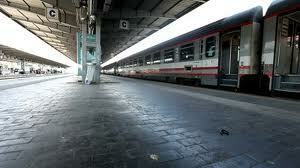 Hi Lyn A very informative report on train travel in Italy. 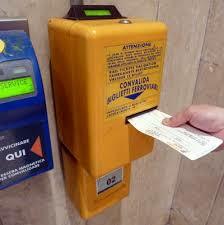 You covered all the pitfalls I encountered using train travel in Italy. Bravo!!!!!!! You have put so much information in there, and also links to find out more information. I’ve had more than a few harrowing experiences hauling a bag up and down all those steps in the train station! I’ve learned to forget about a large suitcase when I’m traveling alone. I have to say that I’ve been lucky to have various nice gentlemen come to my rescue!